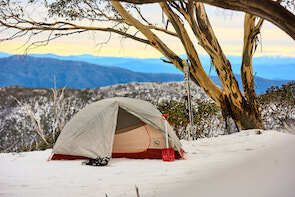 Mt Buller is the newest destination to join The Ikon Pass, opening up yet more exciting options for skiers and snowboarders seeking winter experiences in Australia and overseas. 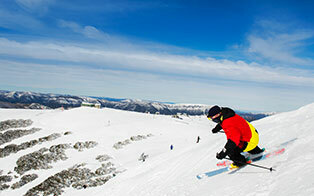 Mt Buller’s arrival on the popular Ikon Pass puts Victoria’s most accessible alpine resort alongside 38 iconic winter ski destinations around the globe. 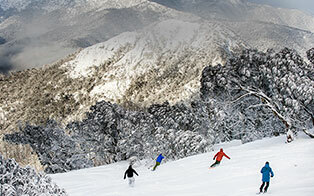 The Ikon Pass offers 14 unlimited skiing and riding destinations and up to 7 days at 24 destinations including Mt Buller. No blackout dates. The Ikon Pass is available now at early discounted rates starting at $649 USD at www.ikonpass.com through Tuesday, 23 April 2019. 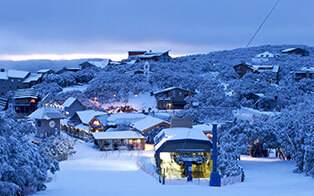 To give Australians more time to take up the new Ikon Pass offer these early discounted rates will be extend through to the start of the southern ski season on Monday 10 June 2019 if bought through the following travel partners: Blue Powder, Mint Tours, Mogul Ski World, Scout, SkiMax Holidays, Ski Travel Company, Sno n Ski/MySnow Travel, Snowcapped Travel, and Travelplan in Australia, plus AMPED, The Ski Travel Specialists, and travel&co in New Zealand. To provide additional value for families Ikon Pass holders can save up to $200 on CHild Ikon Passes (ages 5-12) with the purchase of an Adult Ikon Pass or Ikon Base Pass. This Child Pass Promotion has also been extended through Monday, June 10, when purchased through selected regional travel partners. 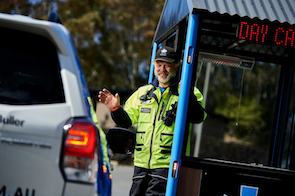 New 19/20 Child Passes will be valid at Mt Buller for the 2019 and 2020 seasons. The Ikon Pass is the new standard in season passes, connecting the most iconic mountains across North America, Australia, New Zealand, Japan and Chile, delivering authentic, memorable snow adventures. Brought to you by Alterra Mountain Company, the Ikon Pass unlocks access to a community of diverse destinations to ski and ride, including Aspen Snowmass, Steamboat, Winter Park Resort, Copper Mountain and Eldora Mountain Resort in Colorado; Squaw Valley Alpine Meadows, Mammoth Mountain, June Mountain and Big Bear Mountain Resort in California; Jackson Hole Mountain Resort in Wyoming; Big Sky Mountain Resort in Montana; Stratton, Killington and Sugarbush Resort in Vermont; Snowshoe in West Virginia; Boyne Highlands and Boyne Mountain in Michigan; Crystal Mountain and The Summit at Snoqualmie in Washington; Tremblant in Quebec and Blue Mountain in Ontario, Canada; SkiBig3 in Alberta, Canada; Revelstoke Mountain Resort and Cypress Mountain in British Columbia, Canada; Sunday River and Sugarloaf in Maine; Loon Mountain in New Hampshire; Taos Ski Valley, New Mexico; Deer Valley Resort, Solitude Mountain Resort, Brighton Resort, Alta Ski Area, and Snowbird in Utah; Thredbo and Mt Buller in Australia; Coronet Peak, The Remarkables, Mt Hutt in New Zealand; Niseko United in Japan, and Valle Nevado in Chile. Special offers are available at CMH Heli-Skiing & Summer Adventures, the world’s largest heli-skiing and heli-accesed hiking operation. For more information on the Ikon Pass, visit www.ikonpass.com.